Welcome, my son, to the machine! I'm a fire fighting, genetically engineered dodecagon named Alex Sonny and welcome to my homepage! Pretty much any kind of machine and vehicle. My current building themes projects include cars and mechs, although my most popular creations were my LDD tanks, which I really try to make perfect. Here, there's something for everyone, as long as you like machines - flying, driving, walking, big and small, armoured, armed or peaceful. 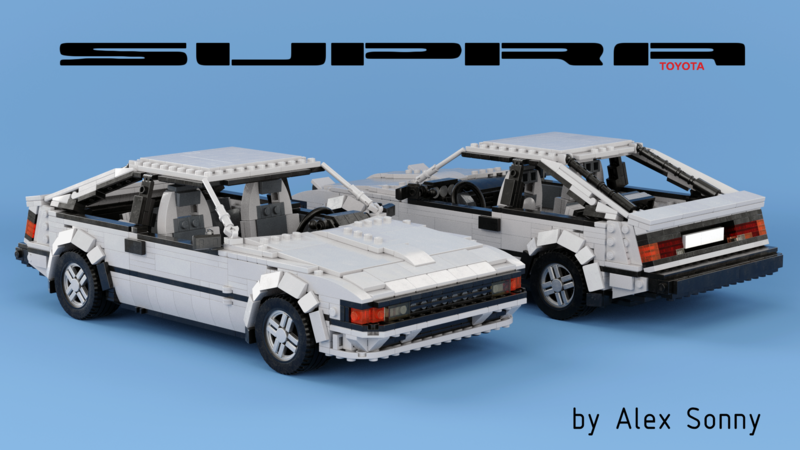 My Latest Creation: "Mk2 Toyota Celica Supra"
And there's a group I'm a mod of, give it a visit! WW2 contest round 2 entry: T92 Howitzer Motor Carriage Built for the WWII Vehicles, Ships, and Aircraft Contest under the category "digital"
WW2 contest round 1 entry: IS-2 Heavy Tank Model 1943 Built for the WWII Vehicles, Ships, and Aircraft Contest under the category "digital"
Alex Sonny is one of Max P.'s favorite builders! Alex Sonny is one of Cassie Sipe's favorite builders! Billy joe Joe has commented on the LEGO creation Panther Ausf. G "Ersatz M10"
Alex Sonny is one of Thomas Brown's favorite builders! Alex Sonny is one of Yiwei Ji's favorite builders! Alex Sonny is one of Topi Tirkkonen's favorite builders!